Jack and Rose aren't the only ones taking a ride on the Titanic again. 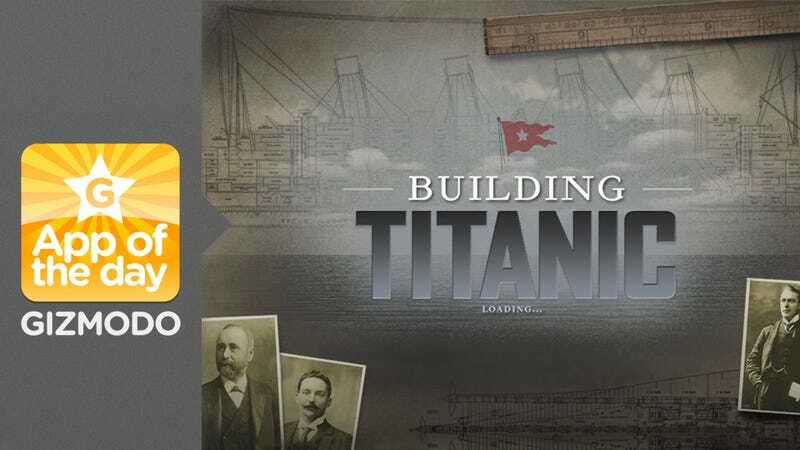 National Geographic has hopped aboard the unsinkable ship with the release of its iPad app, Building Titanic. The app takes you through the full history of the once-unsinkable ship, starting in 1908, when the design for the luxury ship was approved by White Star lines. An interactive timeline then follows the building of the Titanic from March 1909 when the first keel was laid to April 1912, when the boat embarked on its fatal voyage. The app recreates the nearly three-year process of building the Titanic in a time lapse video, providing explicit details along the way, like the fact that its keel plate was 52 inches wide at its largest point. It also displays the full history of boat, including tidbits like why the designers chose one turbine over two. (They preferred size and luxury over speed). It's also free, and works together nicely with the new iPad's lovely retina display.